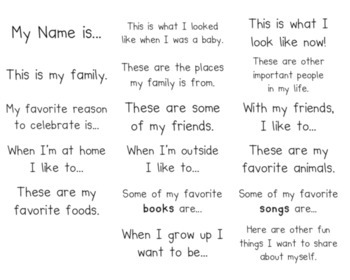 This is one of my favorite projects: The All About Me Book! The photos are of my actual book - very well loved as you can see! 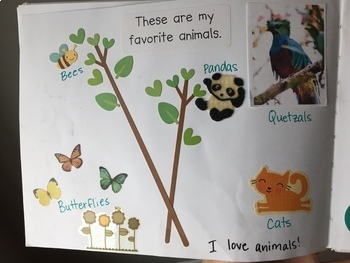 *I do this project every year with my Pre-K students to start the year but this project is a winner for all ages. 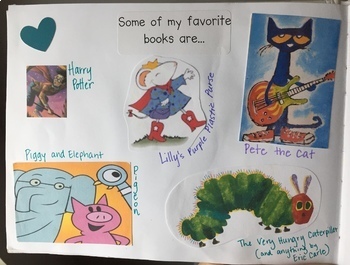 I would love to see how older students create their books. I usually buy 7x10 inch blank books and then put one label on each page before sending them home for families to complete. Another option is to go page by page depending on your unit focus. 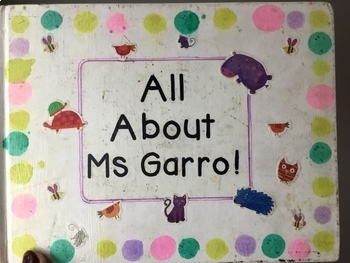 You can modify this project easily to meet your classroom needs!